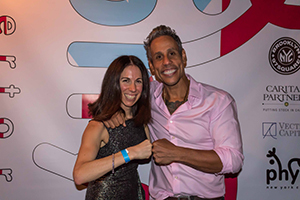 NYC non-profit Phyt Cares celebrates its 5th anniversary this coming November – the organisation was incorporated in 2013, after a successful pilot program in June of that year. The organisation is the foundation arm of Phyt NYC, a fitness facility based in New York City with a second location in San Juan, Puerto Rico. Founder and CEO Jonas Serrano launched the organisation because he knows first-hand the positive affect that fitness can have on people. “I was extremely fortunate to grow up in a household surrounded by fitness and experience first-hand from an early age the immense impact it can have in helping people deal with adversity and overcoming challenges. I founded Phyt Cares because I wanted to help those facing adversity to conquer that,” he said. The organisation’s connection to the alternative investment industry stems from the client base at Phyt NYC – hedge funds such as Soros Fund Management, Wellspring Capital Management, Vectra Capital, Castle Hook Partners and Falcon Edge Capital are clients at Phyt NYC. 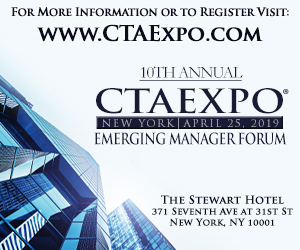 Co-founder Elana Margulies Snyderman is a Senior Manager in the Alternative Investment practice at EisnerAmper, an accounting, tax and advisory firm headquartered in Manhattan; she leverages her connections to produce events which help raise money for Phyt Cares. Margulies Snyderman has also leveraged her alternative investment contacts to organize other smaller events throughout the year including a women’s wine tasting, a handful of shopping events and a tennis tournament to raise money for Phyt Cares. The organisation’s inaugural annual fundraiser took place in November 2017, raising more than $15,000; plans are in the works for the 2018 edition. “We have already started planning our second annual fundraiser – it’s hopefully going to be on November 1st in New York City again. Our goal is to make that an annual thing,” said Margulies Snyderman. Phyt Cares’ programs empower young people from ages 2 through 18 to live an active, healthy lifestyle. One such program it runs is with Bronx, NY-based ACACIA Network (the largest Puerto Rican foundation in New York) as Serrano explains. Whilst primarily an organisation which focused on minors, Phyt Cares also has done programs for other populations too, most recently a fitness seminar for staff at Urban Pathways, whose mission is to help the homeless find housing. Also, Truce Foundation of America Founder Hugh Dugan is also a Vice President of Phyt Cares and brokered a partnership between Qatar-based Save The Dream and Phyt Cares. Phyt Cares launched its Puerto Rico chapter in 2017, irrespective of Hurricanes Irma and Maria. Serrano is Puerto Rican himself felt compelled to uplift his Native people given the challenges they have been facing. The initial ports of call were Loiza, in the northeast, and La Perla, near the capital San Juan. Puerto Rico’s fiscal challenges are well documented, and so Phyt Cares’ Puerto Rico chapter has also been sponsoring local athletes because of government cuts in spending. Serrano feels passionately about this. Part of the execution of the strategy is a partnership with Gimnasio de Boxeo La Perla in La Perla, a neighbourhood in the capital, San Juan. However, it’s not just athletics that Phyt Cares PR is funding. Phyt NYC has plans to expand to Colombia, which will enable Phyt Cares to launch as well. To learn more about Phyt Cares and support the organisation, go to http://www.phytnyc.com/philanthropy.html. If you are interested in sponsoring Phyt Cares’ second annual fundraiser, please contact Elana at elana@phytnyc.com.